EARLY settlers looking beyond the confines of the Sydney basin and who ventured south to the high country of the-now NSW Southern Highlands, included grape growing amongst crops there as far back as the 1870s. They didn't get far, particularly with the cold winters, but a century of so later and armed with more knowledge, skills and facilities than those early settlers, landowners once more turned their attention to grape growing – and this time with considerable success for themselves, and great rewards for wine buffs. One of the larger wineries is Southern Highland Wines who've a modern Cellar Door at Sutton Forest. 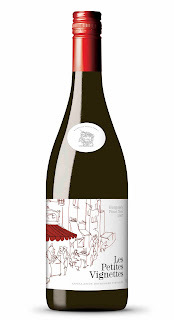 Ask there, or local Highlands eateries and liquor outlets, for their 2008 Pinot Noir that's a nice example of this often difficult-to-handle variety, with this one having nice blackberry, plum and wood-like flavours, and even suggestions of ripe tomatoes. At $24 team it with a good roast dinner – turkey, pork or duck are ideal match-makers. ONE FOR LUNCH: ANOTHER maker whose history goes back to the later part of the 19th century is Leasingham, founded in the 1890s by four business partners who converted a one-time jam factory into a winery to handle fruit from Clare Valley orchardists turning to grape-growing. Now, 120 years later, Leasingham have released a Jam Shed label honouring the venture – their 2009 Jam Shed Riesling being a great buy at $19.99, and its juicy lemon and lime flavours a perfect partner with pan-fried whiting fillets, a light salad and crunchy warm sour dough. 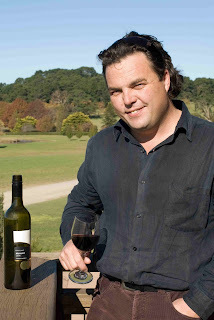 SOUTHERN Highlands' Winemaker, Eddy Rossi creating commendable cool-climate rewards. GETTING out of a jam: label honours Clare Valley pioneers who went from jam to winemaking. NO matter what Mother Nature throws at them in the high country and cool climate of Tumbarumba in the foothills of the Snowy Mountains, Penfolds' viticulture and winemaking teams never cease to surprise with the outstanding wines they create from this oft-challenging district. And in essence it is these challenges that results in the uniqueness of these wines, joined now by a 2009 Bin 311 Tumbarumba Chardonnay that's one of the company's latest Bin Collection releases. No wonder Chief Winemaker, Peter Gago is so delighted with this Bin series Chardonnay. "Tumbarumba just continues to deliver," he says of vines whose fruit he's worked with since Penfolds started sourcing from there in the early 1990s. "With each release the vines get older and more resilient to the many challenges thrown at them in this high altitude, cool climate district." Peter suggests a perfect match with this one is shallow-fried calamari and hearty drizzles of aioli; pay a recommended $39.99. ONE FOR LUNCH: KOONOWLA's 2007 The Ringmaster Clare Valley Cabernet Sauvignon is a drop that winemaking duo David O'Leary and Nick Walker have once again put their hearts into in furthering the label's reputation as a reflection of the Clare's first-class climate and soil profile. A wine with earthy, savoury notes and nice chocolaty nuances, this one's just the drop with a good any-time roast beef; nicely priced too at $20. MATCH this with shallow-fried calamari and hearty aioli. JUST the drop with any-time roast beef. COME July 14 and all good Frenchmen and dedicated Francophiles will be thinking nothing other than food and wine as they celebrate France's biggest anniversary, Bastille Day. Follow it up with – what else? – traditional Coq au Vin and a Les Petites Vignettes Burgundy Pinot Noir 2007, that also at $25.99 is a perfect match for the rich chicken, bacon, red wine and garlic flavours of the Coq au Vin. And to end what could be more French than Crepes Suzette? Serve these delights with a late harvest dessert-style Alsace Pinot Gris 2007 from the same maker ($32.99 a half bottle) – you'll find the sweetness of the wine stands up delightfully against the citrus flavours of the Crepes. Sunday barbecue of char-grilled steaks. Just remember to begin each course with a hearty Bon Appétit! ONE FOR LUNCH: MARGARET River, Geographe and Mount Barker all have fine reputations for producing outstanding quality Cabernet Sauvignon and Merlot, and maker Evans & Tate has brought together examples of both varieties from all three regions for their 2009 Gnangara Cabernet Merlot. This is a classic Cabernet Merlot with bright flavours of forest fruit and fresh blackcurrants, combined with soft, succulent tannins. Great value at just $13.99 for a Sunday barbecue of char-grilled steaks.